I know we don't wanna think about it but check out these Back to School Teacher Tees for $13.99 (Retail $25). 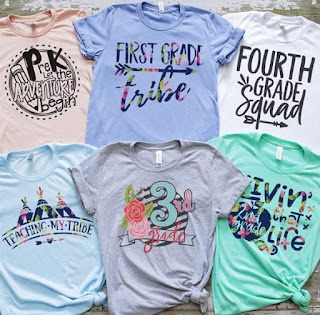 You will love these Back To School Teacher Tees! These are printed on our highest quality, super soft tees! If you prefer a looser fit order unisex in your standard size or even a size down for a semi-fitted look. $3.99 for the first item and $1.99 for each additional item. US only. Ships no later than Sat, Jul 28.